You can give it a shot in five US cities as of today. 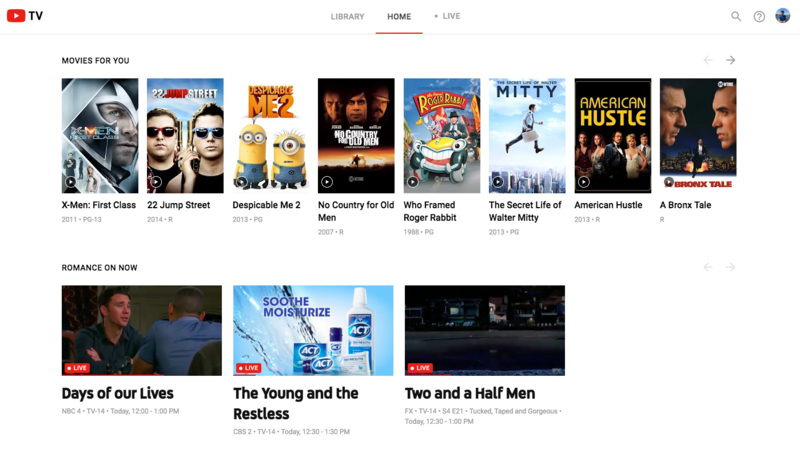 Google announced YouTube TV at the end of February, and now the live TV streaming service is ready to launch. It's available today on your phone and computer in five markets: New York City, Los Angeles, San Francisco, Chicago and Philadelphia. If you hadn't heard yet, the $35 monthly service offers live streams from all four major broadcast networks (CBS, Fox, NBC and ABC) and a host of other networks like ESPN, FX, the CW and many others. All told, YouTube TV is launching with 39 stations, but 10 more (including AMC, IFC and BBC America) will arrive soon. 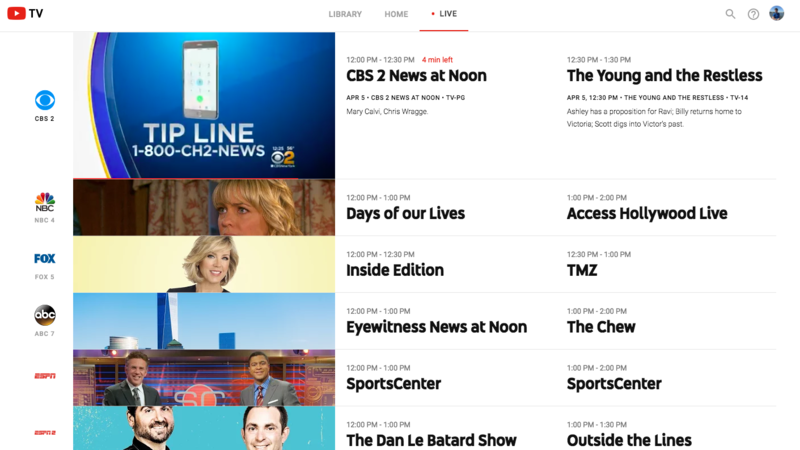 At launch, you'll use either the new YouTube TV app (for iOS or Android) or the web-based interface to access the new service. Ironically, the only way to get YouTube TV onto an actual TV set is with Chromecast or Cast built-in -- there aren't apps for the Apple TV or other set-top boxes or consoles yet. Google says they'll come, but for now, the website and app will be the primary way to interact with YouTube TV. We'll have a more extensive walkthrough of the new service soon, but for starters, there are a few things it does very well. 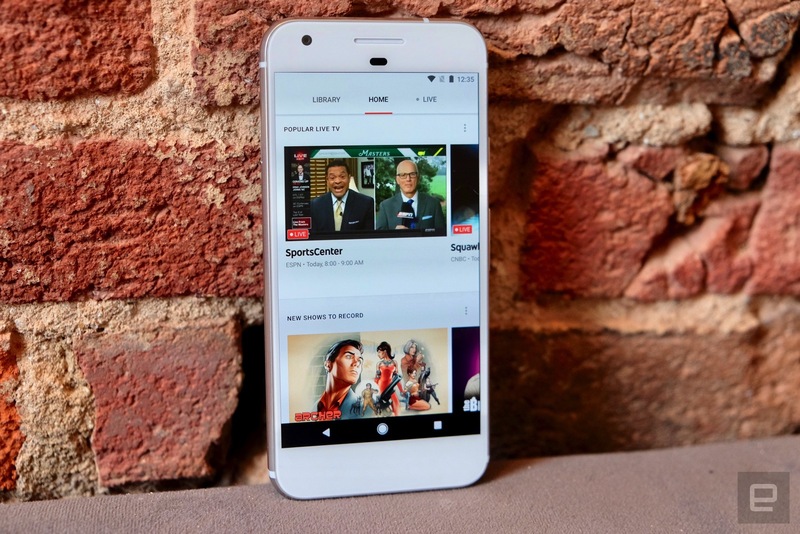 YouTube TV is very fast at getting you into live TV -- when you're browsing things to watch, live previews start almost immediately. It's not entirely necessary to get a preview of what's on the channel, but it's a very engaging feature that can also keep you from clicking through to something that's on commercial break. Membership comes with support for six accounts, and three simultaneous streams at a time. There is an unlimited amount of cloud DVR space, but you should know that recordings will only stick around for nine months. Also, you can expect access to YouTube Red originals. Another noteworthy feature is how many channels offer on-demand movie libraries. While finding large libraries of TV shows that are available on demand isn't easy, there are a bunch of movies from networks like FX, Syfy and Showtime (the latter channel is only available as a paid add-on, though). You can add these films to your library and watch them anytime, though you might have to deal with some ads or see a movie that has been edited in some way from the original version. Still, the number of films that you can just jump right into is impressive. The UI is also pretty well done, particularly the "live" section of the app. There, you can vertically scroll through a list of channels and see everything that's playing right at that moment. The top-most program in the list goes live with a video preview, and as you scroll down that'll dynamically update if you want a preview of what's on. When I first started using the app, I found this to be the best place to go to find programs to start watching and adding to my library. Before long I had a half-dozen shows and a handful of movies saved or set to be recorded. We'll have more to say about the service soon -- but if you want to try it yourself, grab YouTube TV from your app store of choice or go to tv.youtube.com. You'll have to live in one of those five metro areas, though. Google's offering a free month trial, and you can also get a free Chromecast with your first month's payment. 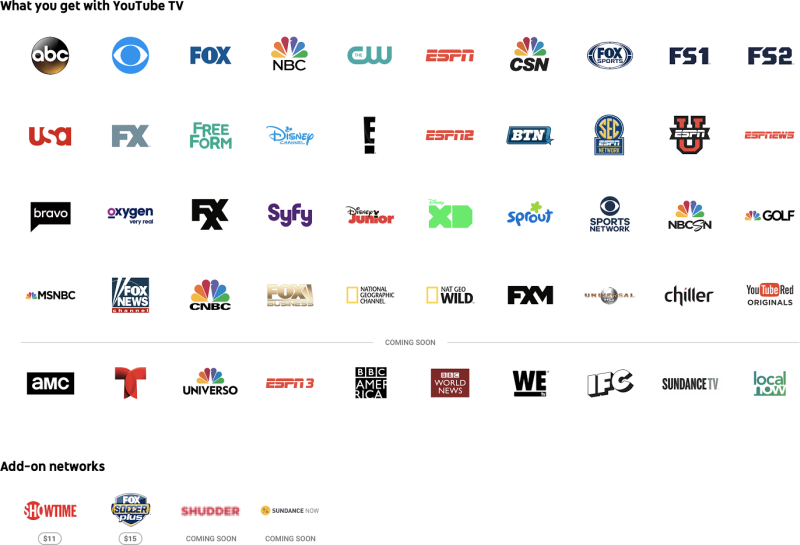 There are a handful of services like YouTube TV already out there, but Google's offering probably worth a look if you need live TV but don't want to pay the cable company.